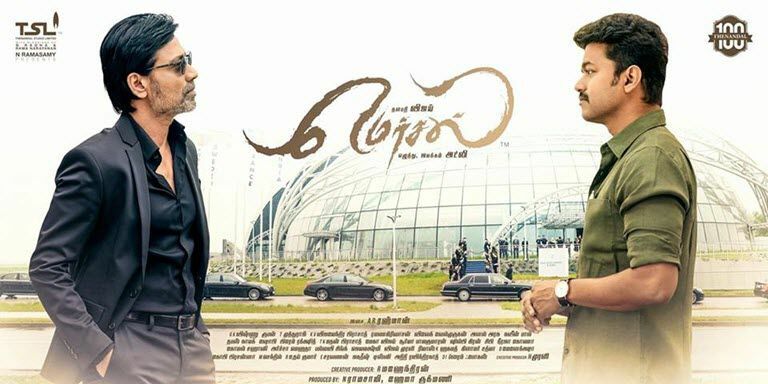 Mersal Movie Tickets: Actor Vijay’s Mersal directed by Atlee is one of the most expected films of this year and is all set to storm the screens this Diwali. The movie which is slated to release on October 18, 2017. The film starring actor Vijay in triple roles with Samantha Ruth Prabhu, Kajal Agarwal and Nithya Menon playing the female lead roles. The Telugu dubbed version is titled as Adhirindhi which is also scheduled to be released on the same date. The advance ticket booking of Mersal will be available on the web portals bookmyshow.com, paytm.com, easymovies.in, spicinemas.in, ticketnew.com from one week before of the release. Mersal is an emotional action thriller in which Vijay plays the lead role in the movie and he will be appearing in three different getups. Samantha, Kajal Aggarwal, and Nithya Menen are the female leads. SJ Suryah plays the villain in the film, which has Vadivelu, Sathyaraj, and others in the cast. The new film shot largely in the United States at a cost of a Rs. 130 crore ($20 million), the biggest budget to date for a Vijay vehicle. The latest we hear is that the online bookings are in full swing for the film as many multiplexes are screening only Mersal on the 18th of October. On the other side, the film is expected to open a record number of screens worldwide and the demand for the tickets are huge. The Mersal premiere show will be released in the USA on 17th October and in India, it is 18th October. Presently, the pre-booking of Mersal tickets will be available on bookmyshow.com and in justickets.in. The tickets are selling fast and the exhibitor has almost sold tickets for the first two shows of the day. The Kollywood and the Tamil Nadu government are at the loggerheads over the newly-introduced entertainment tax. How to Book the Mersal Tickets Online? It is a special movie for many reasons. Mersal marks the 100th movie made by Sri Thendal Films and is releasing in the 25th year of Vijay and music director AR Rahman in the film industry.